"The BCD436HP is the first scanner to incorporate the HomePatrol-1's ease of use in a traditional handheld scanner. 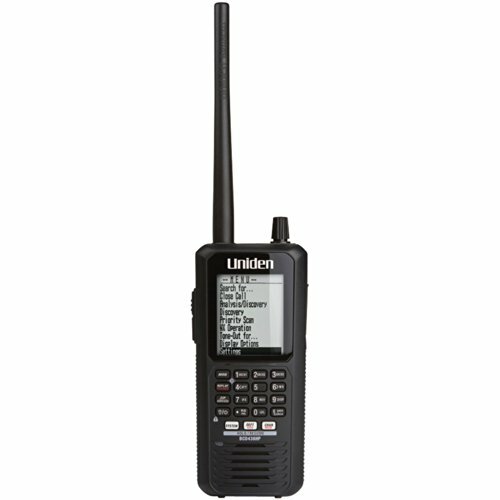 Plus, Uniden's exclusive Close Call RF Capture feature, GPS Connectivity, Extra-Large Display, Radio System Analysis and Discover Modes put the most advanced scanner features ever right in the palm of your hand. The LCD backlit keypad elluminates the keys and screen helps you make favorite lists quick and easy to setup. The department/site Quick Keys makes for a quick call or tagging the system/channel number. There are five different frequencies that are covered with the BCD436HP (25-512 MHz, 758-824 MHz, 849-869 MHz, 894-960 MHz, 1240-1300 MHz). Other features: TrunkTracker V, APCO 25 phase I and phase II, X2-TDMA, CTCSS/DCS rapid decoding, P25 NAC decoding and simple-to-use Sentinel PC software to keep your scanner's database and firmware up to date. Receives conventional and the following types of trunked channels: •Motorola Type I •Motorola Type II •Motorola Type IIi Hybrid •Motorola Type II Smartnet •Motorola Type II Smartzone •Motorola Type II Smartzone Omnilink •Motorola Type II VOC •LTR Standard •Project 25 Standard •Motorola X2-TDMA •P25 Phase I and Phase II •EDACS Standard (Wide) •EDACS Narrowband (Narrow) •EDACS Networked (Wide/Narrow) •EDACS ESK On the following frequencies: (25-512 MHz) (758-960 MHz) (excluding cellular telephone bands) (1.24 – 1.3 GHz) "